T he unmistakable horn cutting the silence is from a miniature railroad train. 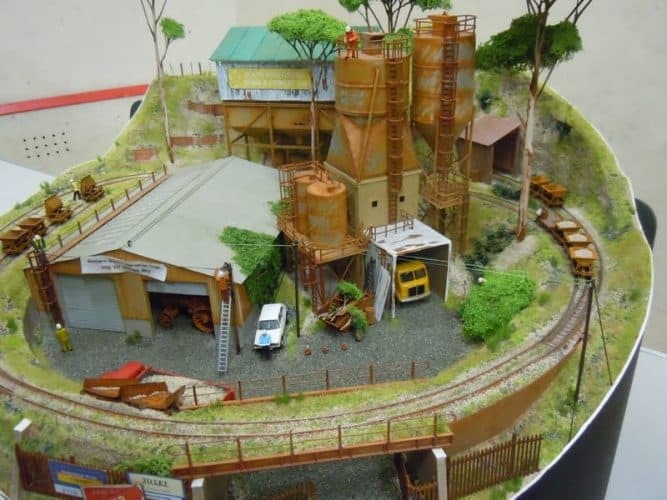 It is perfection in motion for the railroad landscape hobbyist or modeler. The train moves across miniature tracks in a real-life countryside simulation of faux grass and other mini-elements, such as stores, figures of people, and waterfalls. Building a detailed project requires focus on modeling concepts, such as theme, scale, and display. Your theme gives the foundation for the model train landscape design. It is fundamental to the project because your theme answers questions. As a modeler, you decide the period or era that your train landscape portrays. Are you creating a specific train line? Real-life trains carry coal, timber, and other commodities, as well as passengers. The theme will include the purpose of your train. You’ll have to decide the scope of services that the model train offers. This will help in deciding the type of model train that you need to build. The size of train landscape that you choose is your scale. It is decided based upon a range of factors, such as the space that you are use and the money that you devote to build the model. You decide, if the model train landscape is large or small. Other factors to consider include your preference for long or short trains and your patience in working with small components. The display is your project’s layout. Once you’ve picked a theme and measured the space, you’ll decide how you’d like the train to run. Will it go in circles, under mountains, or through a city? The layout is part of the imaginative process that helps the modeler to create an awe-inspiring miniature train landscape. Drawing a draft of your layout will help, as you move to the next step. It must be time to go buy your first model train.